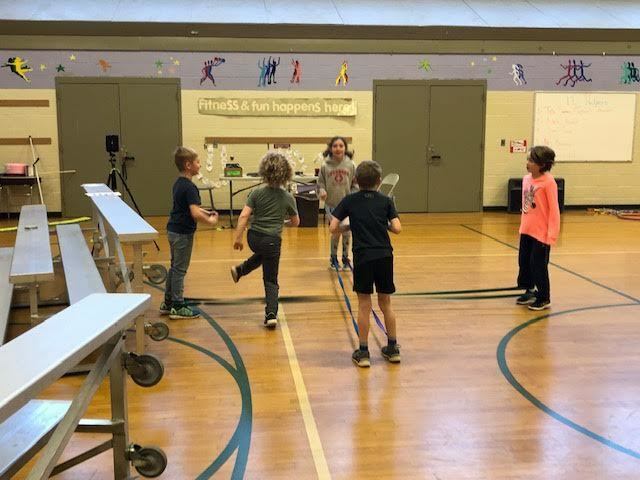 The third graders have been working in pairs and small groups using jump bands. These bands are placed around the ankles and students have to jump in sync to a rhythmic pattern. This is a great activity for cooperation, learning the pattern of a beat, and of course, physical fitness. The coordinated efforts of each group have been impressive! I am proud of the communication and execution of teamwork each student took responsibility for.